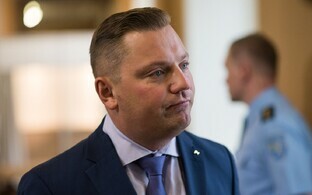 Politicians in Estonia have been calling for the salary of newly-appointed Tallinna Linnatranspordi AS (TLT) chief Deniss Boroditš to be made public. 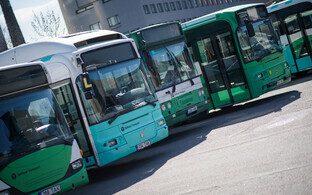 TLT is responsible for the running of public transport within Tallinn city limits. Kristen Michal of the Reform Party (Reformierakond) and city council vice chairman Mart Luik (Isamaa) have both stated told ERR that the information needs to be made public, as it would with the salaries of all high level city public sector salaries, not least because Mr. Boroditš himself has stressed a desire to make Tallinn Transport a transparent organization. 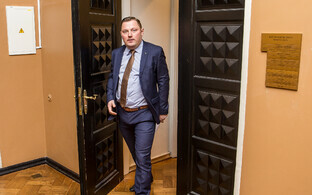 Mr. Luik also made the point that his salary comes from public money raised in various ways from Tallinn residents, thus heightening the need for full disclosure on Mr. Boroditš's wages, and that the matter would be raised at the city council session in Autumn. The fees of leaders of public companies in the city should certainly be public," Kristan Michal said, adding that if the city councillors are interested in it, then it should equally be of interest to the public. Mr. Boroditš was appointed on Monday, and neither he nor TLT have been willing to comment on his salary. At the same time, the company is at present under no obligation as such to inform the public about pay levels. Mr. Boroditš' appointment follows a the resignation of former boss Enno Tamm after four TLT employees were arrested on corruption charges incuding the accepting of bribes to the tune of €2 million earlier in the year. Mr Boroditš was chosen from a shortlist of four candidates from the original 18 applicants for the post He is a former Deputy Mayor of Tallinn (2007-2011) and was formerly a Centre Party member.